"On February 28, 1999 I started a 40 day fast. I went to Lake's grave site to pray when I heard God say, 'There is a time to pray, and a time to move.' 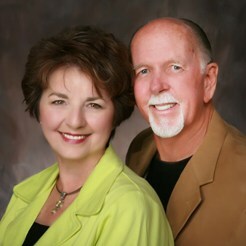 There was no doubt that God wanted us to re-dig the generational wells of healing in Spokane." Cal called in intercessors and began training up healing teams. On July 22, 1999 the Spokane Healing Rooms of John G. Lake were re-opened in the same location they were 80 years ago. Cal teaches at conferences around the world about the provision Jesus provided in the atonement for our healing. All of the provision of the cross must impact the body of Christ. God is raising up an end-time army that must get out of the tent if it is going to march to the battle and take the harvest. This army will not march to the battle on crutches. It will have signs and wonders following it.